Jack Newton Lowrey went to be with his Lord on Friday, March 15, 2019, at his home in Hoyt. 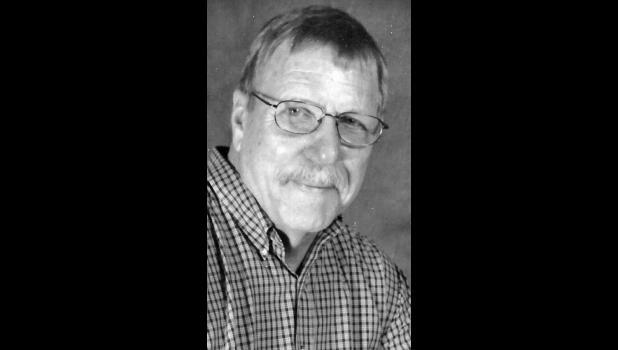 He was born on Jan. 1, 1939, in Hutchinson, to Willard and Elsie (Cooper) Lowrey. Jack graduated from Hutchinson High School in 1957 and worked in Hutchinson and later Topeka as a cabinet maker. He retired from the Kansas Museum of History in 2003 as a carpenter. After retirement he worked as a cabinet maker, building custom cabinets for other builders. He also will be remembered for the Memorial Box that he built for the Hoyt City Park. He was preceded in death by his parents; sisters Mary Current, Etta Hubbard and Elva Jean Walker; brother Jerry Lowrey; and brothers-in-law Claude Campbell and Mike Campbell. Jack married Nancy Phillips in 1968. They divorced. He later married C. Sue (Campbell) Joy on March 3, 1990, in Las Vegas. He is survived by his wife, Sue Lowrey; sister Linda Anderson and sister-in-law Nona Lowrey, both of Hutchinson; children Pam Rios, Topeka, Steven (Julie) Lowrey, Shawnee, Tamra (Todd) Nincehelser and Terry (Chris) Joy of Topeka, and Tracy (Holly) Joy, Ardmore, Okla.; 12 grandchildren; 10 great-grandchildren; brother-in-law Donnie Campbell, Meriden; and many loving nieces and nephews. Services will be held at 11 a.m. Tuesday, March 19 at Chapel Oaks Funeral Home in Hoyt. Burial will follow in Hoyt Cemetery. Jack will lie in state until 8 p.m. Monday at the funeral home, where a visitation will be held from 10 a.m. until service time on Tuesday.